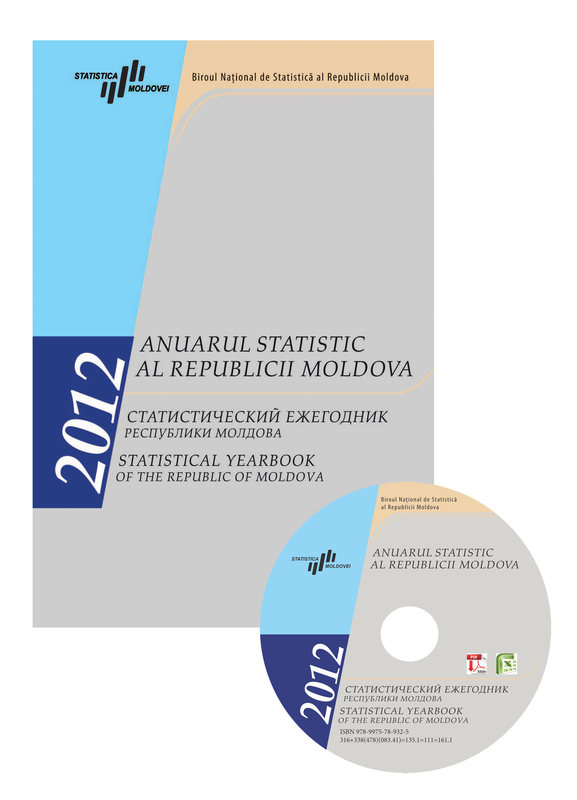 National Bureau of Statistics has published the "Statistical Yearbook of the Republic of Moldova", edition 2012 in printed form and on CD-ROM. The yearbook contains the most important data regarding the socio-economic and demographic development of the country during 2004-2011. The present edition of the yearbook is organized in 24 chapters, and includes about 500 tables and graphics comprising an increased and complex volume of information from various subject areas: geography and environment; population; labour force; population incomes and expenditures; prices; dwellings; education and science; health protection; population social assistance; culture and sport; tourism; justice; national accounts; industry; energy and fuel resources; agriculture; investments in long term tangible assets and construction; transport, post and telecommunications; information technologies; foreign trade; retail trade and services; finance; balance of payments; international statistics.